Natural elements give you lots of options for home decoration. 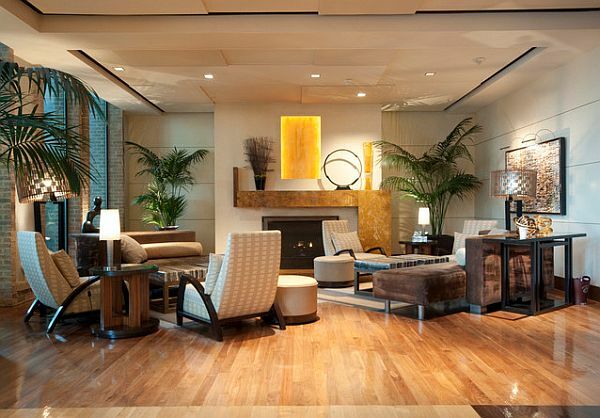 Natural elements will add beauty and comfort to your interior. Check out our ideas for home decoration with natural elements. When you think of natural elements for home décor, one of the first things that comes to mind are houseplants. They can have a calming effect on people, which makes them an ideal choice for home decoration. Besides, houseplants filter the air indoors and add color and life to your interior. Visit your local garden store to find out what houseplants are best for your area. If you’re not experienced in growing houseplants, get types, which are easy to care for and can survive a little negligence every now and then, like succulents, for example. With the growing trend towards using environmentally friendly materials in your home, bamboo is one of the greatest natural elements to decorate your interior. Bamboo is a beautiful material, which will decorate your home safely and support the environment as well. Besides installing bamboo flooring and buying bamboo furniture, there are other ways to use it for home decoration. 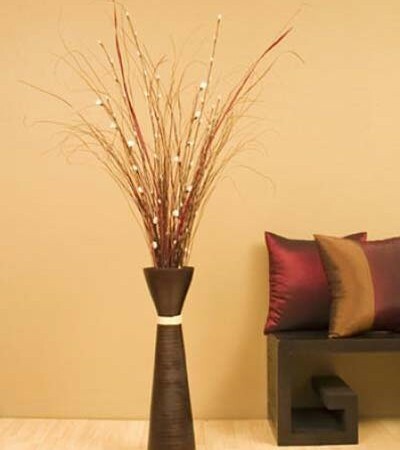 For example, you can get a few beautiful bamboo floor vases. Of course, there are many other decorations and accessories made from bamboo, so you can choose whatever you like. Another way to decorate your home with natural elements is to use stones. 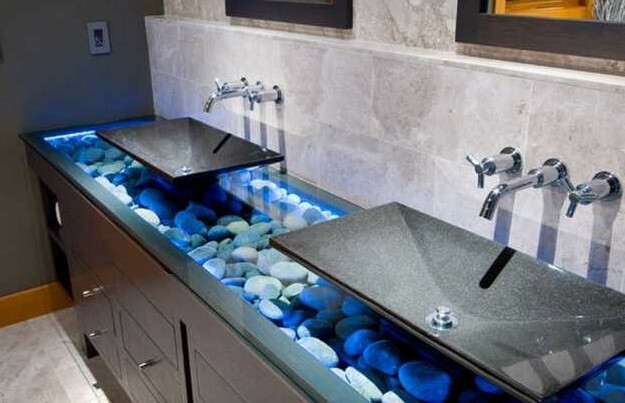 Stones can be a very stylish decoration solution for any home. You can use natural stones as a flooring material, wall covering or just arrange some pebbles in transparent vessels and place them in your hallway, living room, bathroom or bedroom. Stone home decoration will help you create a unique, soothing surrounding. Stones are beautiful natural elements, perfect for home decoration. Use them in any style of interior to create amazing points of interest. Another way to incorporate natural elements in your home decoration is to use decorative tree branches. You can buy some decorative tree branches online or at a local store. Alternatively, you can collect some branches and create your own, unique home decoration. Add some paint or glitter and place them in a large floor vase. Create your own wall art, using tree branches. You can even browse the web for some DIY projects with tree branches. The best thing about tree branches is that they are available everywhere for free. 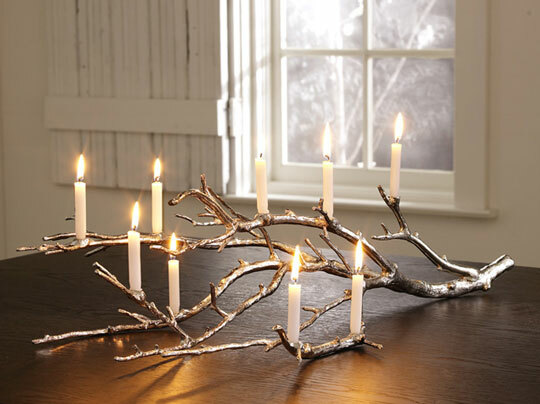 Use your imagination and create some amazing decorative pieces with tree branches. 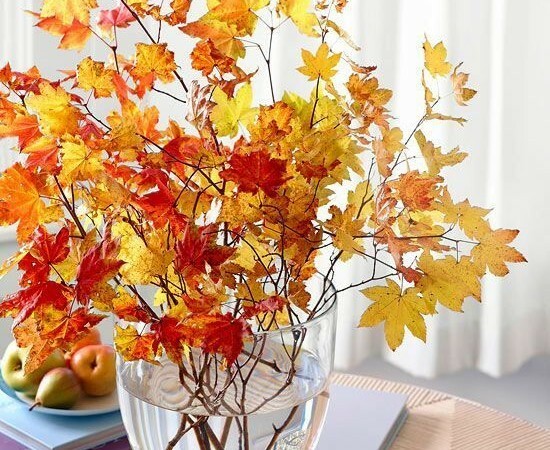 If you want to use natural elements for home decoration, you can collect some beautiful fall leaves. You can preserve the rich colors of fall leaves and stems by soaking them in a glycerin and water solution. Mix one part glycerin and two parts water. You need just enough of this solution to submerge the leaves completely in a shallow, disposable vessel. Use stones to weigh down each leaf and let them soak for two to five days. You may need to check on the progress often. Make sure pets and kids can’t reach the vessel with the solution. After the leaves have soaked in the solution for a few days, dry them gently with a paper towel. This will preserve their color and they will remain pliable. Then, arrange the leaves in a vase and decorate any room you like. Contemporary interior design styles can be quite impersonal at times. Modern interior design strives for functionality with minimalist furnishing. It is a good idea to introduce some natural elements in your home décor. Choose some natural elements available everywhere around you and create your unique home decoration. This is a great, environmentally friendly interior design solution. Decorating environmentally friendly, home decoration, Interior Design, natural elements. permalink.